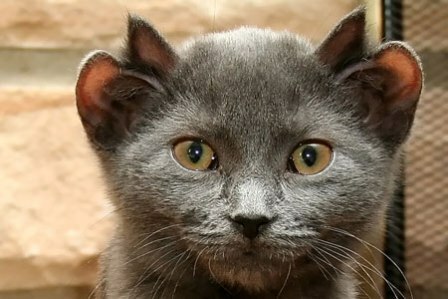 Meet Yoda, a household pet born with an extra pair of ears. Chicago, Illinois, couple Valerie and Ted Rock took the cat in two years ago after they visited a local bar, where a group of drinkers were handing the animal around and making fun of him. Since being adopted by the Rocks and after getting his picture posted on the Internet, the two-year-old feline has become an international media celebrity. The Rocks have received calls from Good Morning America, Fox News and The Tyra Banks Show. The moggy’s mugshot has graced the pages of the London Guardian and British tabloids. But Yoda’s owners are keeping a close watch on their much-loved pet. They are concerned he could be catnapped because he is so different.